This post contains affiliate links. If you purchase an item through these links I may receive a commission at no additional cost to you. Read the full disclosure here. Thank you for supporting my blog! 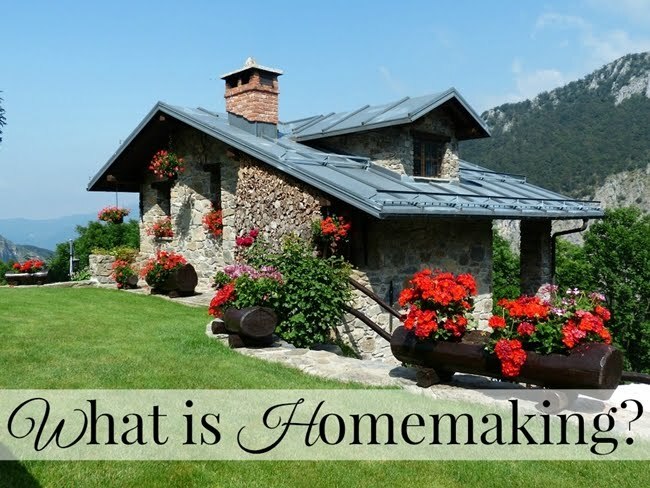 Definition of Homemaking - The creation and management of a home, especially as a pleasant place in which to live. 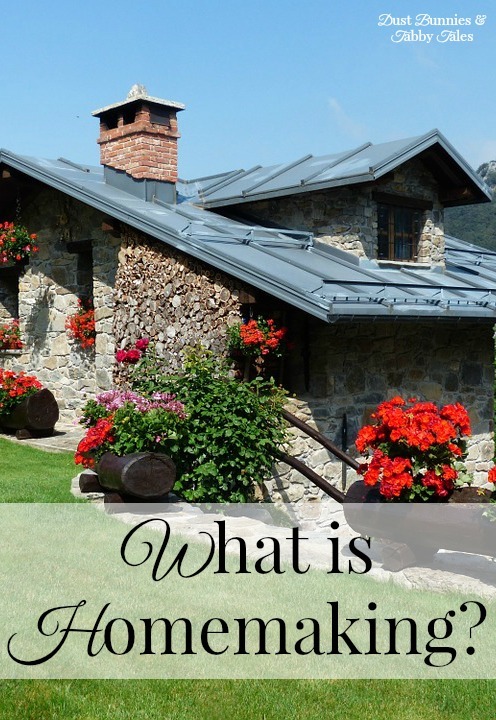 When we think of the word homemaking, we usually think of taking care of the cleaning, cooking, laundry, our children, balancing the checkbook, paying bills, helping with home repairs, decorating, shopping, menu planning and more. Many times, even if we take care of all the things listed above, we may feel that we don't do enough. We may feel like our home isn't clean enough or our kids aren't happy enough. And ooops... the kids had to wear two different colored socks to school today. It's okay! You don't have to be perfect! Your house doesn't have to look magazine ready. It's not the end of the world if you ate pizza for dinner in front of the TV or you forgot that load of towels in the dryer. And mismatched socks are trendy! It's not about what your house looks like. It's okay to not have brand new furniture, perfectly cleaned carpet and all of the laundry done every Saturday. We, of course, should strive for a clean home. But... it's okay if you can't do it all. In my post about cleaning schedules, I mentioned how I'm not much of a cleaning schedule person, but I hope to be after reading the FlyLady's book. However, I also know that there will be areas of our home that I didn't get to. And I'm okay with that. How does your home feel to you? What makes your family happy? How do you make your home a pleasant place to live? Is it eating dinner at the table together? A candle burning? Cookies baking in the oven? A cozy place to snuggle up and relax? What can you do as a homemaker to make you and your family feel comfortable? Is it important to your husband that the dishes are washed and the bed is made? Do you greet them with a smile and a hug? Make a list of things that you can do around your home, for you and your family, to make it a pleasant place to live.